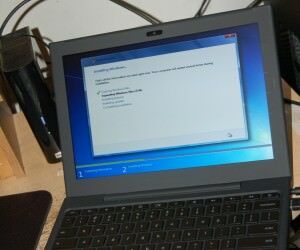 Google’s new notebook, called Cr-48, is now capable of running any major operating system of your choice! News came out last month that Cr-48 was able to run not just Googles new Chrome OS, but also Ubuntu! Now, you can apparently also run Windows 7 or Mac OS X! If you have an active Last.fm account and like to switch up your wallpaper from time to time then you’ll love Wallpaperfm! 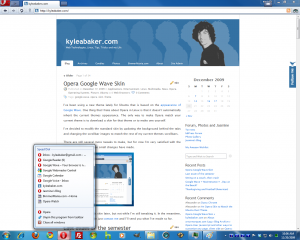 Example from my Last.fm account in Collage mode. 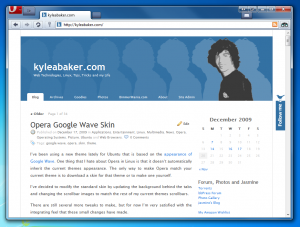 This python script, by Koant, has been around since at least 2008, but I’ve only recently stumbled across it. 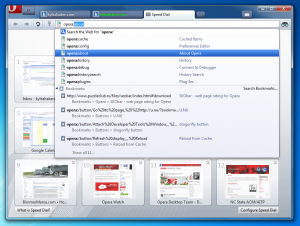 It’s easy to start using and is available for Windows, Mac and Linux users! I’ll help you get started in Linux since that’s what I’ve set it up on. 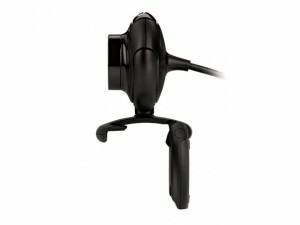 If you need more help or want more configuration options you should look to the information that Koant has posted on his website. 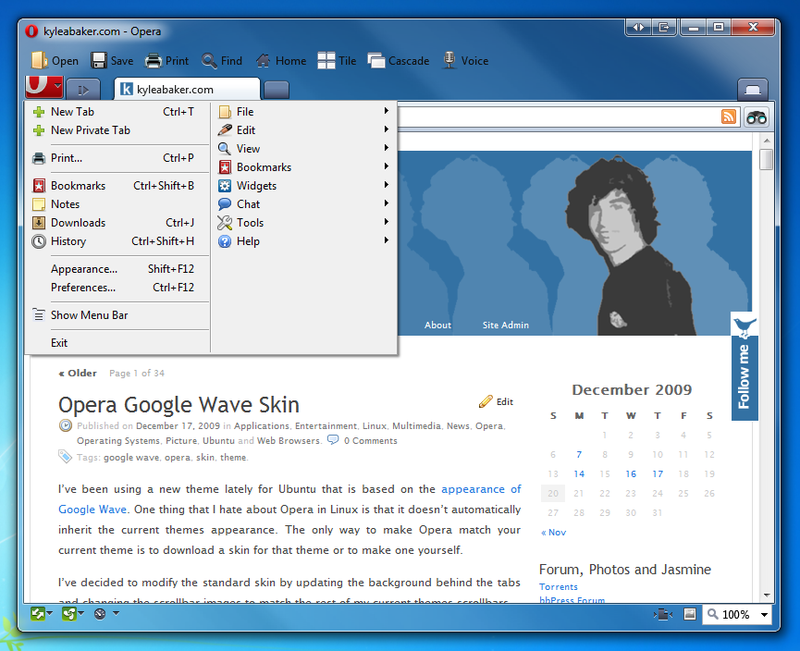 That’s the most basic set of options you can use to create your wallpaper (which you will find after running the script in the “wallpaperfm” folder that was created). Albums are packed in side by side. 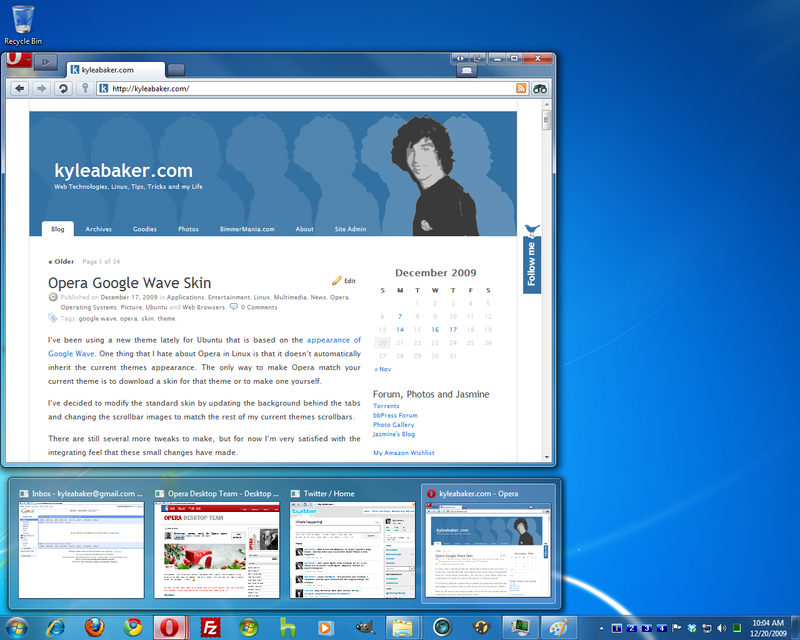 A few albums are highlighted on a glassy surface. Albums are meshed together in a dreamy design. To specify one of these modes, simply run the wallpaper script with the mode flag set to your choice. There are plenty of other settings you can specify such as size, canvas size, filename, profile period, final opacity, cache, excluded albums, local copy, etc. I’m sure that this script could be simplified further for Linux users (and more specifically, Debian/Ubuntu users) if a user interface were created. It actually seems like a rather simple task since the parameters for the script are well bounded. Adding this interface to an installer package would also be a very simple task and would most likely get more attention to such a neat tool! Another thing, if your music preferences are constantly changing like mine, you may be interested in updating your wallpaper in regular intervals. To do this you can setup a Cron job that runs in the background. While this may sound difficult and confusing, its really not at all and this helps explain a lot. I can even walk you through the steps. 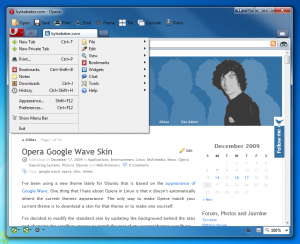 Open the application (in Ubuntu) through the Applications menu -> System Tools -> Scheduled tasks. 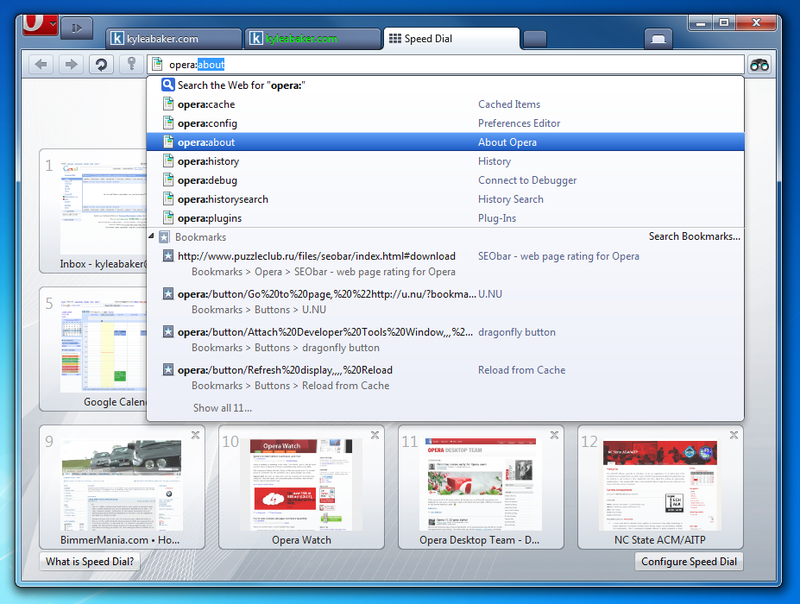 Click the New button and select the Recurrent task type. Give the task a description. 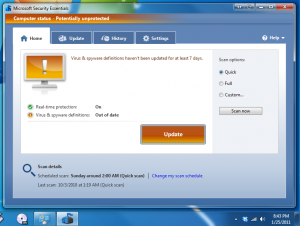 Set the Time & Date option to hourly, daily, weekly, or monthly. Click the “Add” button to add it to your list of Scheduled Tasks and you’re done! Have any other suggestions or tips? Leave ’em in the comments! Paint Your Mouse Movements with IOGraph! I recently stumbled upon this neat little application that lets you track your mouse movements in a visual way and save the image that is created! My IOGraph in a Dual Screen (2.5 hours). 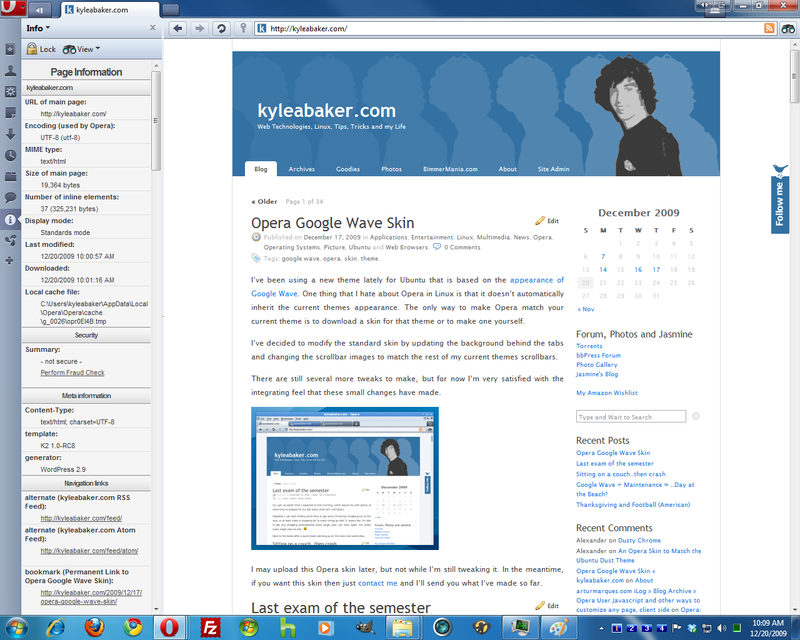 As you can see, most of my activity is in my second monitor (right) where my web browser rests, between the tabs and content towards the top. My coding habits and text editor occupy the first monitor (left) and show noticeably less mouse movement and more periods of pausing to work with the keyboard or read. 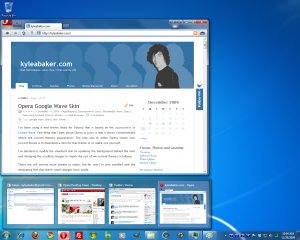 This application is Java based and runs in Windows, Mac and Linux! I’ll give you a quick run down on how to use this application in Ubuntu..
Make sure that you have Java 6 Runtime installed on your computer. If you don’t, open the Ubuntu Software Center and search for Java. You should find “OpenJDK Java 6 Runtime” near the top of the results. Install that before continuing. 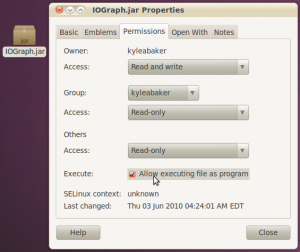 Download IOGraph for Linux and save it where ever you like (I saved mine to the desktop). 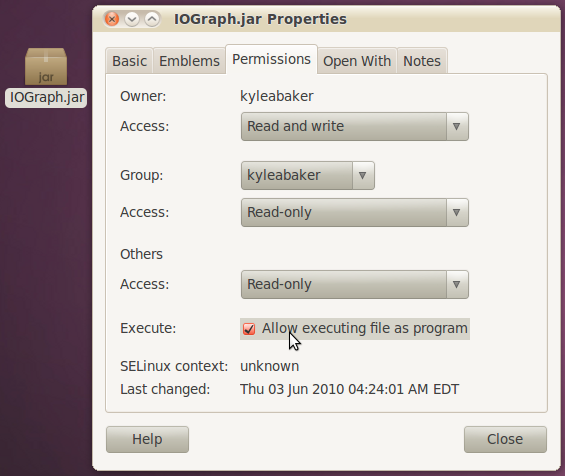 Before you can open the Java application (a .Jar file), you will need to set proper executable permissions for it. To do this, simply right click on the file and select Properties. In the Permissions tab, check to enable the option labeled “Allow executing file as program” and click close. 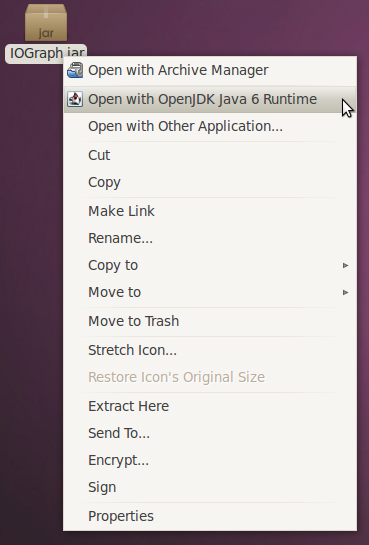 Now to run the application, right click on the file again and select “Opera with OpenJDK Java 6 Runtime”. Now that you’ve got the application running, you can minimize it and let it track your every move! If you’re having trouble, you may be able to find more help with .Jar files here. The circles represent points where the mouse was left motionless for a period of time. The larger the circle, the longer it was left motionless. Enjoy making art while you work and please share your results! 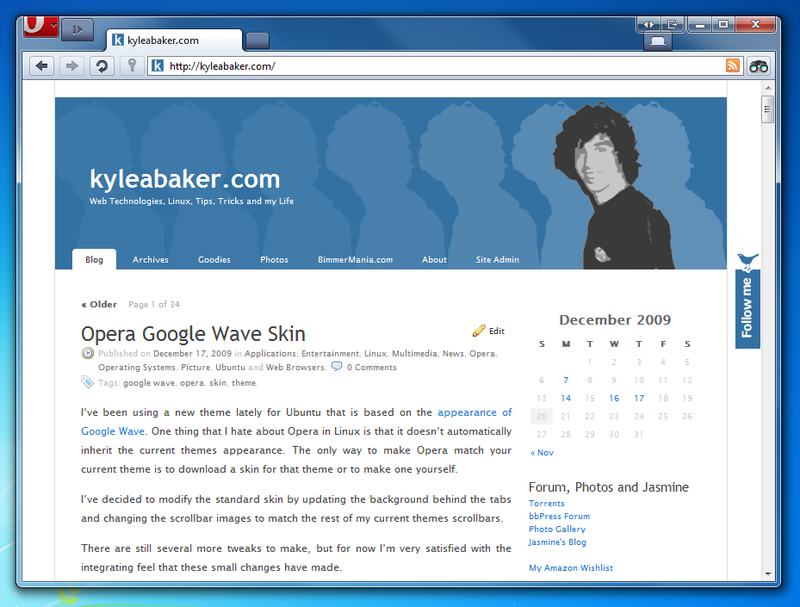 Author kyleabakerPosted on June 3, 2010 June 3, 2010 Categories Apple, Applications, Entertainment, How-To, Linux, Mac, Microsoft, Multimedia, Open Source, Operating Systems, Picture, Product Review, Ubuntu, WindowsTags Linux, Mac, Open Source, Windows2 Comments on Paint Your Mouse Movements with IOGraph! I’ve just given a leaked release of Opera 10.5 Pre-Alpha a test drive and I must say that I’m very impressed with the changes I’ve noticed thus far! 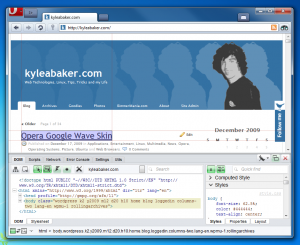 I look forward to testing the Official Opera 10.5 Pre-Alpha release on Tuesday, December 22. However, until then I’ll be digging through this leaked version. Here are some screenshots I’ve taken. I don’t cover everything, but just enough to give you a good idea of what we should be expecting. I also won’t be detailing all of these pictures, but a picture is worth a thousand words right? Inspect them and see what you can find! I did notice a lot of skin changes and a couple of bugs here and there dealing with the skin, but it’s overall very much improved. The internal “opera:*” pages also seem to be using a different style than previous builds, but then again they may have dropped using the Opera logo in the top of the pages. Try this build at your own risk! 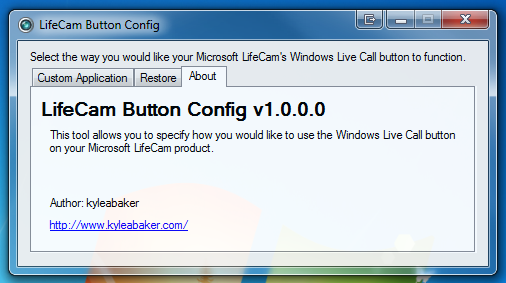 After digging into process and id’s I was able to track down the Guid for the Microsoft LifeCam VX-1000 and inspect several settings assigned to it via the Windows Registry. 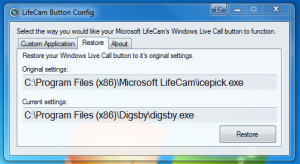 As it turns out, there is a very simple hack to use the Windows Live Call button for any program you’d like! I don’t have time at the moment to write a script or a program for this, but you can manually configure your webcam to open a program. 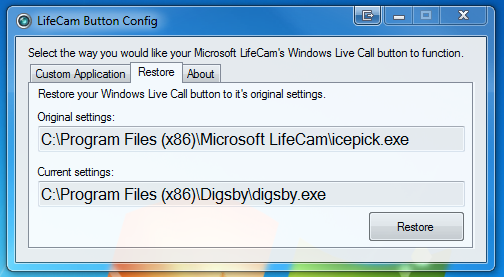 If it’s already open then pressing the Windows Live Call button will simply bring it back into focus. So far, I’ve only tested this button to open and focus Digsby and Opera, but it could in theory be used to call and or focus any application. If you’re a little sketched about editing your Registry then that’s a sign that this hack isn’t for you and you should wait until I (or someone else) releases a tool that suits you. The key that you want to edit is conveniently labeled “QuickStartPath“. Just change this key to the direct path of any file you want to launch. You can test that it works immediately after saving the key. No need to close RegEdit until you’re done. If it works, great! You’re done! If not, then you’ve done something wrong. 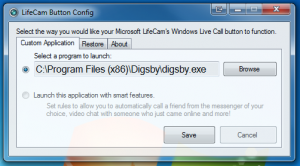 Remember that the original file that was being launched was something similar to “C:\Program Files (x86)\Microsoft LifeCam\icepick.exe” depending on your platform. Mine is 64-bit, so you’re may not need the “ (x86)” specific Program Files directory (if you’re using a 32-bit computer). I just recently bought a new webcam via eBay for a great price of $5.50 and have been catching up with some of my Skype friends just for fun. What’s great about this little webcam is that it has an excellent turning radius and can tilt to just about any angle you need it to. Another great feature that this webcam offers is the ability to be mounted are rest just about anywhere. The base of the camera opens if you need to hang it somewhere rather than resting it on your desk or tower. The clip can be used to mount it onto your desktop monitor whether it’s an old CRT or a new LCD and it even mounts on very sturdy to my HP Pavilion dv4000 laptop screen. The picture quality of this little camera is great. Not surprisingly, you can pay a little more and get even better cameras such as the VX-3000 or the VX-6000. My only complaint is that the focus ring around the lens was never mentioned on or in the packaging so it took me a little while to figure out how to get rid of the blur (just rotate the lens to adjust). The camera even offers a one-click access button on the top of it that can launch video calls instantly for Windows Live Messenger. I don’t use Windows Live Messenger much myself (read: at all), but I figured I could play around with the drivers in a hex editor and figure out how to make the button customizable…maybe open the Digsby or Trillian contact list (who knows) so I wrote an application to make this button customizable. 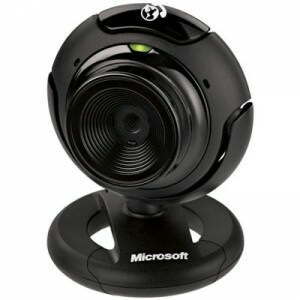 If you’ve been looking for a webcam and debating whether or not to buy one then I would suggest this one. It’s affordable, has everything you need and extremely good picture quality!